We are led by seasoned professionals from the top B-schools like Harvard Business School, Stanford, ISB, IIM-B, IMT, IIT-BHU, ICAI and prominent companies where they have made significant contributions in their respective domains. Our team is young, talented, creative, supercharged and is spread across India through a network of offices in 12 cities. Elara Technologies Pte. 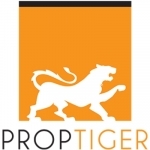 Ltd., which owns PropTiger, Housing & Makaan, is funded by some of the biggest investors including NewsCorp, SoftBank, REA, SAIF and Accel Partner. NewsCorp is a New-York based global media and information services company and has a substantial presence in online real estate. NewsCorp also has a significant stake in Star TV. REA is the leading digital real estate company in Australia and has a controlling stake in iProperty, which has a significant presence in Malaysia, Hong Kong, Indonesia and Thailand. REA also owns a significant stake in Move, Inc., which was acquired by News Corp in November 2014. Move operates realtor.com, which has since become the second largest digital real estate company in the US. SoftBank Group Corp. is a Japanese multinational telecommunications and Internet corporation headquartered in Tokyo, Japan. SoftBank has significant investments in brands such as SnapDeal and Ola. Prominent investments of SAIF partners are JustDial, Makemytrip and HomeShop18 and Accel Partners owns a stake in Facebook, Flipkart and Myntra. To be the first choice for our consumers and partners in their journey of discovering, renting, buying, selling, and financing a home. We do that we data, design, technology and above all the passion of our people, while delivering value to our shareholders. Culture forms the core of our foundation and our effort towards creating an engaging workplace has resulted in Elara Technologies (PropTiger & Makaan) featuring among the coveted list of India's best 100 companies to work for in 2017 by Great Place to work Institute, in partnership with The Economic Times. What does this role hold for you ? - Regular On-boarding of new clients and servicing of existing clients for increased business. - Responsible for the entire process of lead management, sales and business development. - Data management to ensure 100% coverage in assigned territory and tracking other key parameter. - Provide the market intelligence, data analytics and insights for the marketing team to launch the right promotional and customer communication initiatives. - Will be responsible for achieving sales and revenue targets in the designated areas. - Post-graduate with 2 to 3 years of experience in sales. - Have worked in a real estate business.